When was the last time you brought your car in for brake service at our Orlando Toyota service center? If you can’t remember, it may be time to let our techs take a peek under the hood. However, if you’re already on a routine brake service schedule then you should be good to go unless something goes amiss. That’s where we come in – Toyota of Orlando is here to give you 6 warnings signs that you should never ignore. Let’s get started! When should you be worried about your brakes? Sign #1: You smell a weird smell, like burning carpet, when you brake. Any out-of-the-ordinary smells should never be ignored, but if you smell an odd odor that kind of reminds you of burning carpet when you hit the brakes, then it may mean your brakes are overheated (which is never good). If they can’t cool off, you run the risk of brake failure. Bring your car in to have it checked! 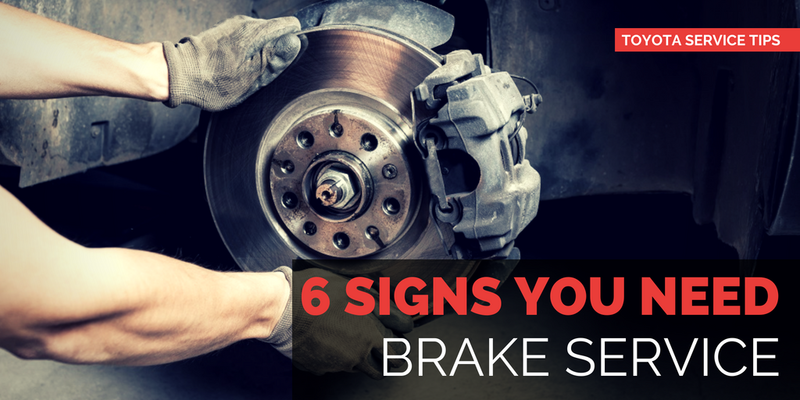 Sign #2: You hear your brakes screeching or squealing when you use them. Squealing or screeching noises are usually due to the fact that you need new brake pads – brakes have a set of indicators built into them and they emit this noise when your brake pads are too thin so you know it’s time for brake service. Don’t ignore it – your rotors can be damaged if your brake pads are too thin, and this can be costly to fix. Sign #3: You have to press harder than usual to come to a stop. Feel like you have to press harder than usual to bring your car to a stop? This can indicate a big problem and imminent brake failure (and it’s also very unsafe when you’re driving). Have our Orlando auto service techs check it out for you. Sign #4: You feel vibrations when you press the brakes. If you feel like your car is vibrating, shaking, or shuddering when you brake, then your rotors may be damaged due to brake pad issues. You’ll need to have this fixed immediately so bring your car in. Sign #5: Your car is pulling to one side when you slow or stop. If your car seems to pull itself to one side when you brake then you may have an issue with a brake caliper malfunctioning or a leaky brake hose not getting brake fluid where it needs to go. Don’t ignore this sensation. Sign #6: Your brake service light is on in the dashboard. This one is pretty obvious – if this light is illuminated in your dash, then you have a problem with something in your brake system! Don’t ignore it and don’t let it go too long – get your car in for Orlando auto service as soon as you can to avoid expensive and time-consuming repairs. Feel like you may have an issue on your hands? 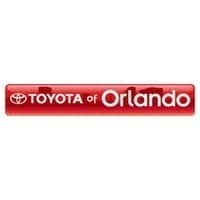 Come on down to Toyota of Orlando’s auto service center! We’re open seven days a week and you can drop by 3575 Vineland Road OR call (407) 298-0001 to schedule your appointment and learn more about our service specials today.